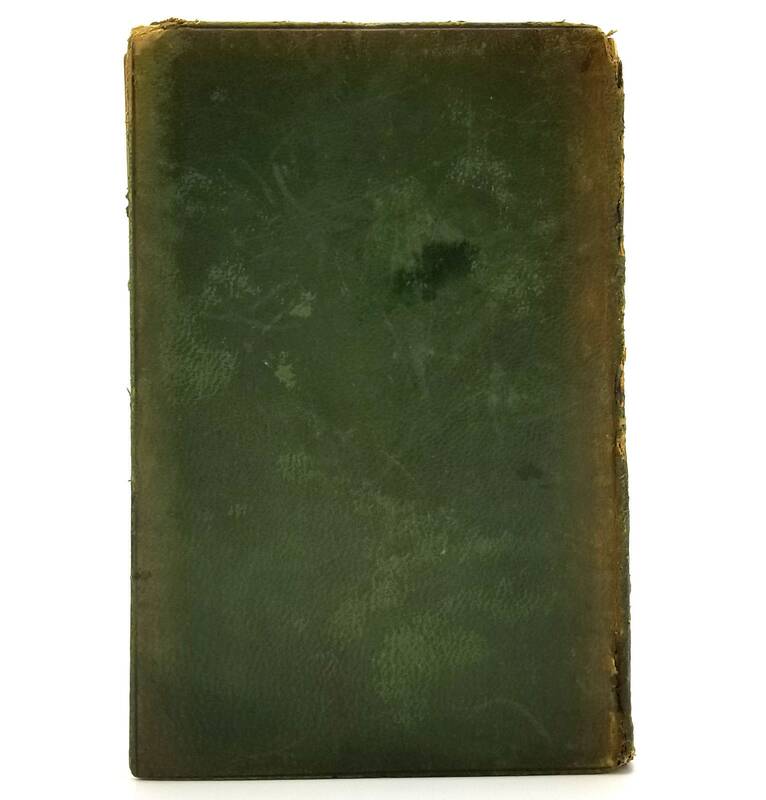 The Sundering Flood Volume II by William Morris Leather Cover 1914 Longmans, Green & Co. 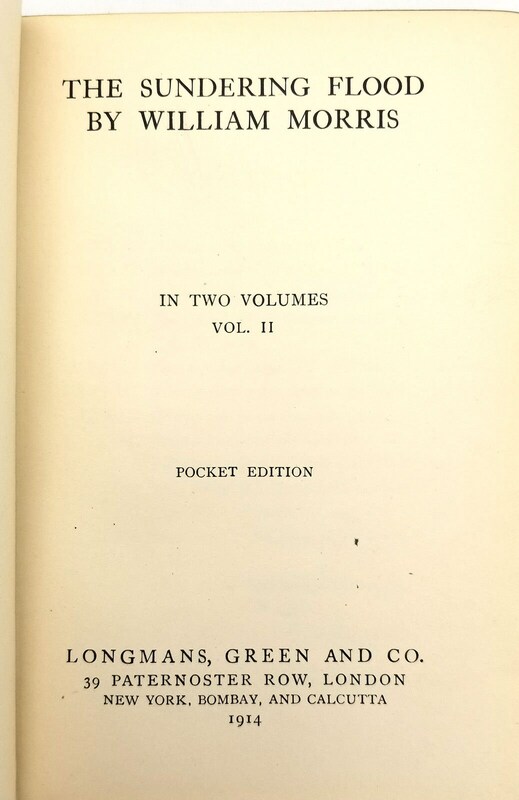 Description: Volume two only, pocket edition. Book is worn at fore edge corners as well as spine edges. Rear spine edge is cracked about from top to about halfway down. Missing about 5mm of material at head of spine. Rubbing and age toning to surfaces of boards. 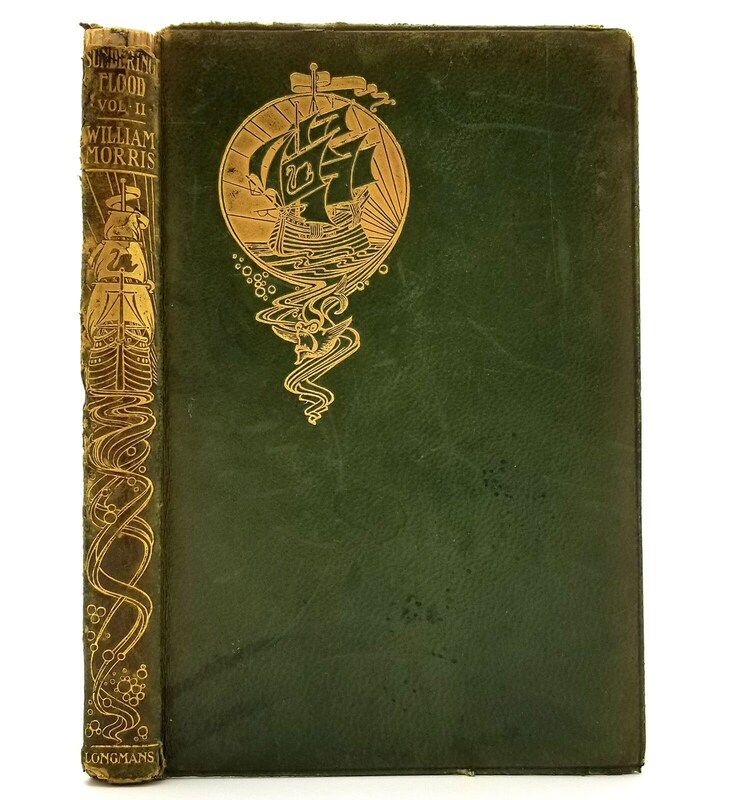 Bound in olive green leather with gilt title and sailing ship on spine. Gold gilt top edge.